It is important to not only study and constantly be learning how to create a successful business. 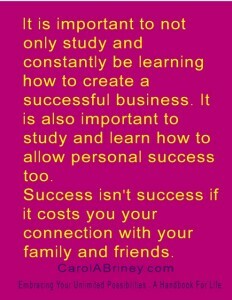 It is also important to study and learn how to allow personal success too. Success isn’t success if it costs you your connection with your family and friends.